I’m Ed Smith, a car accident lawyer in Sacramento. A July 4th accident in South Sacramento caused injuries to three people when the vehicle they were riding in crashed into a church. The collision happened shortly after 6:00 in the morning along Franklin Boulevard in the vicinity of 35th Avenue. It is unknown at this time why the driver lost control of the vehicle, leading to the accident. There is no no mention of weather or not drugs and alcohol were involved. No further information has been released on the condition or identities of those injured in the crash. Speeding is a common reason for single vehicle accidents. Speed limits are in place because driving above it increases the risk of an accident. In addition, speeding makes it more difficult for a driver to control the vehicle, and the stopping distance is increased in an emergency situation. Weather conditions such as fog, sleet, rain and snow make the surface of the streets slick and decrease visibility. Drunk or drugged driving is a major reason for single vehicle crashes. Fatigued driving contributes to single vehicle accidents because the driver finds it difficult to concentrate, and reaction time is decreased. In some instances, the driver may fall asleep behind the wheel of the car. Distracted driving such as texting or talking on a cell phone, chatting with passengers or anything else that takes a driver’s attention from the road can lead to a single vehicle collision. 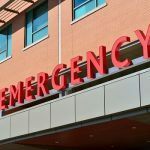 When an accident is caused by the negligence of another individual or entity, an injured person may be able to obtain fair compensation to pay for their medical expenses, lost time at work and other costs. In addition to driver error, there are other reasons a single vehicle can be involved in a collision. Road defects. Depending on the location where a collision occurred, a particular government entity holds responsibility for the maintenance and design of a roadway. This may be the city, county or state government. 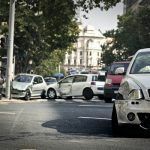 Design errors such as sharp curves, lack of guardrails, poor or missing signage and other problems can cause a collision. In addition, improper maintenance such as potholes, cracks or broken pavement can cause a vehicle to lose control and crash. Aggressive driver: Sometimes, a single vehicle accident is caused by another driver, even though that motorist is not directly involved in the collision. Aggressive drivers such as those who exhibit road rage may force a driver off the road, tailgate or cut a motorist off, causing that vehicle to crash. 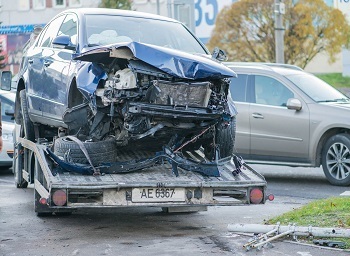 Vehicle defects: This may include defects in the design or the manufacture of a vehicle. Examples include the Takata air bag where multiple individuals were injured or killed due to a defect and steering wheel failure on Ford vehicles. Brake failure: When brakes fail due to design or manufacture defects, a product liability lawsuit can be filed. This can also be due to lack of maintenance. Tire Failure: Defects inherent in the manufacture or design of a tire can cause an accident. In addition, drivers are obligated to maintain their tires in such a way as to prevent a tire from failing. I’m Ed Smith, a car accident lawyer in Sacramento. 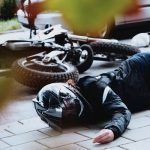 If you or a member of your family was injured in an accident, you may benefit from the help of an experienced attorney. Reach out to me at (916) 921-6400 in Sacramento or on my toll free line at (800) 404-5400 for free and friendly advice. You can contact me online if it is easier for you to do so. 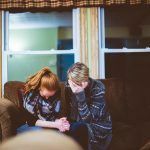 I’ve helped people in Sacramento and the wider Northern California region in all varieties of car accidents to ensure that they receive the compensation they deserve. I am a member of the Million Dollar Advocates, a forum of trial attorneys nationwide whose membership demands that they have won in excess of $1 million for a client.